On Halloween they emerge from the underworld trawling the streets for victims. Weapons in hand, swag slung over one shoulder. Travelling from house-to-house they collect their ‘gold’ and shriek into the night. Then head home to munch on sweets. 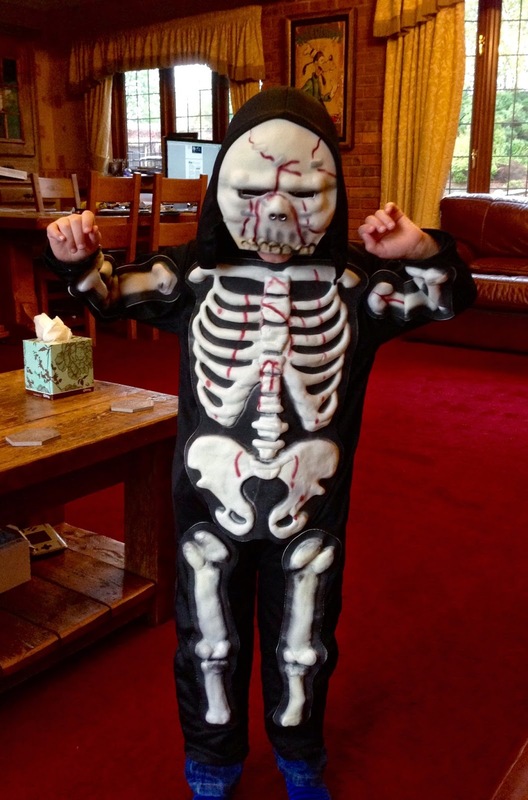 As a parent I am in two minds about Halloween. I love seeing the kids in the neighbourhood dressed up and knocking on doors to collect sweets. I enjoy looking at the houses decorated with pumpkins, skeletons and candles. But Halloween falls at the end of October. It is bleak. The wind is brisk and strong and the chill in the air makes its way into your bones. Brrr. Two years ago the hubby and I wore outfits too. 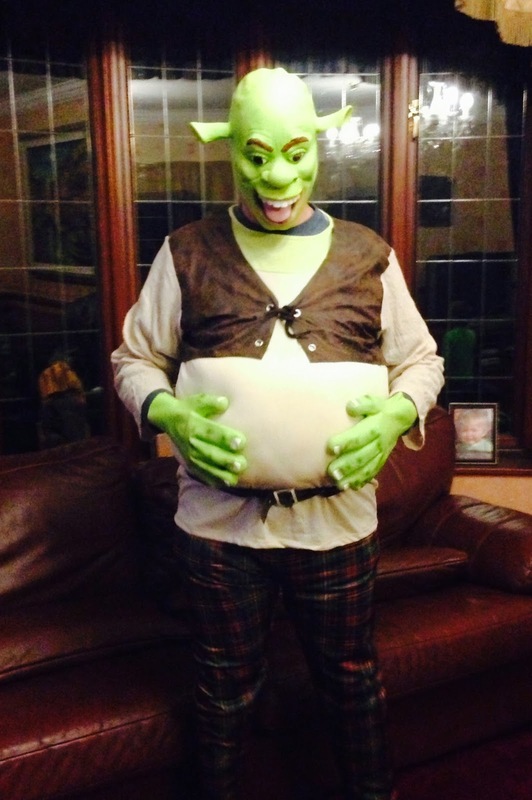 The hubby dressed up as Shrek and I was Fiona, the kids thought it was great. I was freezing, the dress I had on was thin and didn’t protect me from the bitter wind. But it was fun entertaining the little ones in the houses we visited. This year the hubby and I aren’t dressing up but the boys love it just the same. They’re looking forward to going out in the dark, visiting the decorated houses and getting their bags filled with sweets. They’ll be full of smiles when we return home and Halloween will be over for another year. As much as I hate being out on an autumnal evening I know I’ll miss it when the kids are older. When they decide they’re too old for dressing up I’ll wish I could take them trick-or-treating. I will make the most of the next few years of Halloween. I’ll take pictures and enjoy the time, even after the sweets are gone. What do you do to get into the spirit of Halloween?